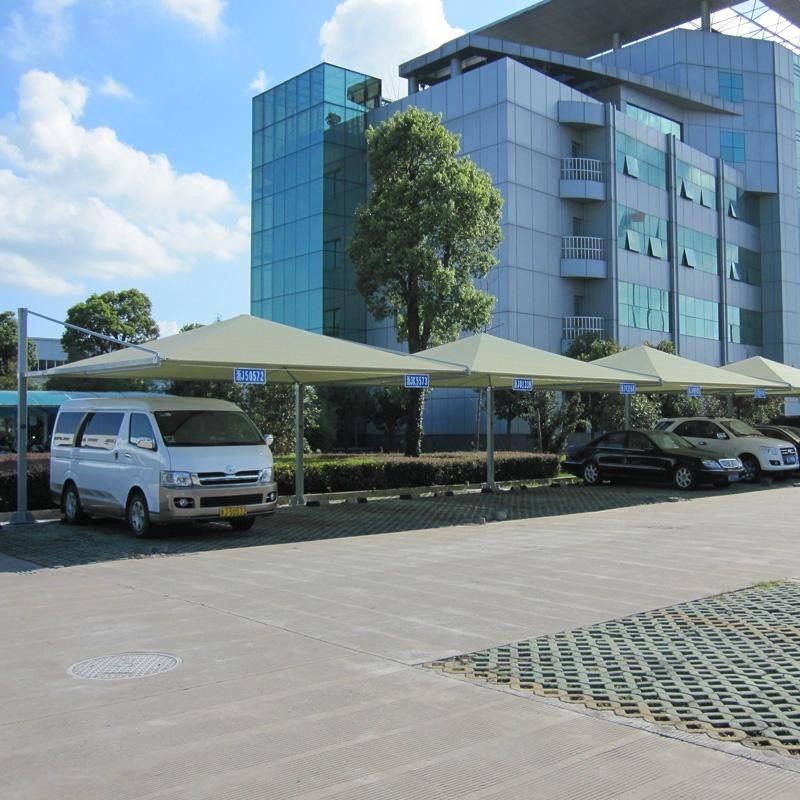 All tarpaulin fabrics are made from import materials, such as CIBA, SCG. 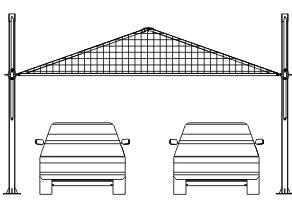 In order to ensure frameworks can stand in all weathers, we have developed dozens of special surface treatment procedures. Through several special coating devices and external deep hot galvanized, our frameworks have excellent anti-corrosion, moisture protection and high temperature resistance, and also have long-term self-cleaning capacity of the surface. Regardless of harsh environment, the frameworks will not rust, fade, chalking or aging off. We guarantee the frameworks ten years maintenance-free, fifty years without rusting. They completely eliminate the hassle of daily maintenance. 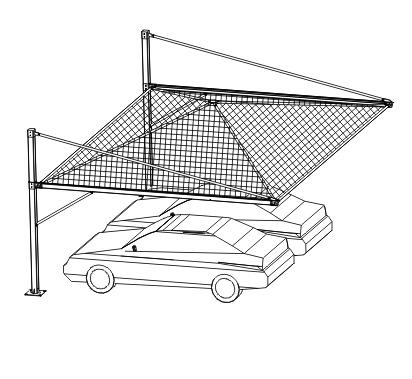 Perfect combination of fabrics and frames make our sunshade products not only beautiful, seamless, but also can bring you more sunshades. 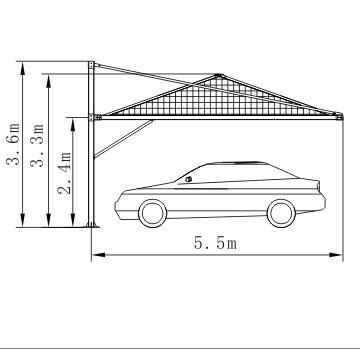 Besides, our carport frames are assembled and removable, it’s very easy for transportation and installation.